SNPhA Chapter President, Martha Ndung’u (Class of 2019) was honored with the Walgreens Chapter President Diversity Award at the July Student National Pharmaceutical Association/National Pharmaceutical Association (SNPhA/NPhA) 2018 National Convention. 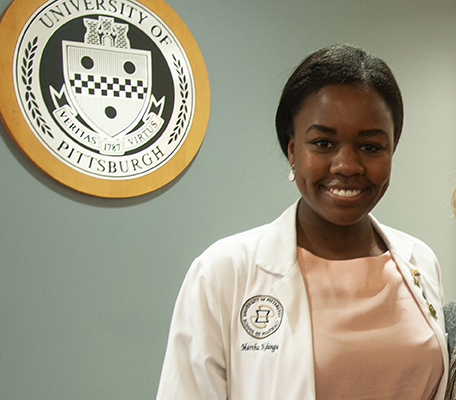 Ndung’u won the award based on her work with creating the first inter-professional health sciences Black History event at the University of Pittsburgh. The Black History Cultural Showcase was presented in collaboration with Pitt’s chapters of SNPhA’s partner organizations, Student National Medical Association (SNMA) and Student National Dental Association (SNDA). These organizations share the same mission to serve patients in under-served communities and advocate for minority representation within healthcare.